With Halloween just days away thoughts are turning to tricks and treats and while I am partial to a good trick I am more in favour of sweet treats. Growing up I loved chocolate covered apples and toffee apples even more. They were one of the best things about Halloween in my eyes! I have always said I would make my own and over the years I have made chocolate apples but this is the first year that I experimented with toffee apples. It was worth the wait however and they turned out to be a fantastic treat to make that I think shouldn’t just be unearthed at Halloween. They are simple to make and versatile with a lot of different combinations to try. From the ones that I made the popcorn one, while an utter experiment at the time, turned out to be my favourite. 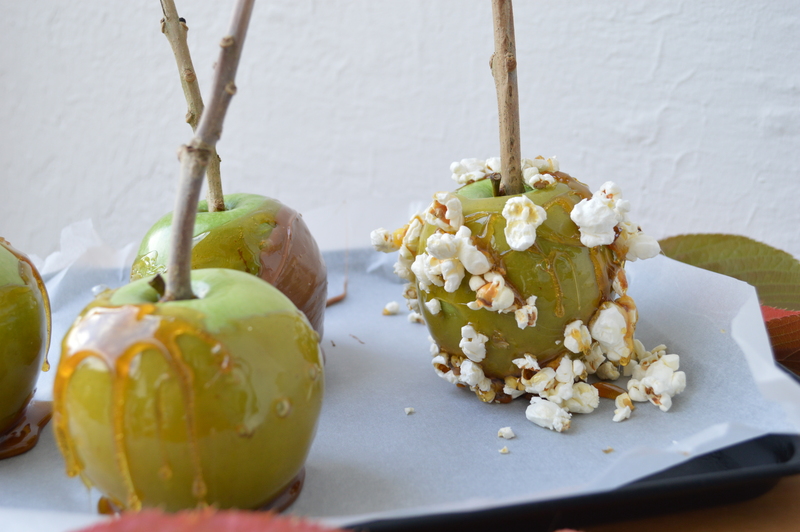 It was the perfect combination of salty from the popcorn, sweetness of the toffee and tart freshness of the apple. 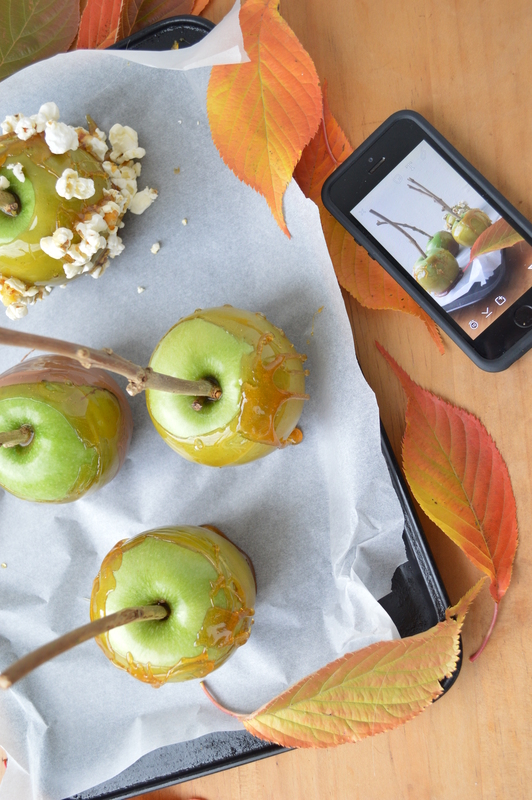 For an alternative to the below recipe you could add a generous pinch of sea salt to the toffee mix and have salted toffee apples that could then be drizzles with dark chocolate for extra decadence. So pretty with green apples! First time seeing them used this way!